Sign up today and become a certified Microblading artist in the state of California and your city. 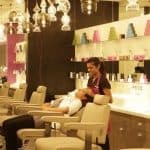 Attend comprehensive Microblading training classes and learn all aspects of Microblading and earn a certificate from reputable Microblading training centers. Beginners who have zero knowledge of tattooing and cosmetology are very much welcome to become certified. 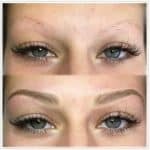 Microblading is not an easy procedure, even an experienced tattoo artist, and beautician may find Microblading a difficult technique. It requires a lot of practice to master Microblading, good thing some institutions and companies are offering training to interested clients. Training takes several days to learn, and a course may last three to five days or more than a week. Companies offer different training packages and may require initial deposits to get started. It’s relatively expensive to become a Microblading artist it needs about a thousand of dollars just for the initial deposit, so before investing, you must know if you are capable of performing Microblading. In California, Microblading is very much popular. If you think this procedure is right for you, don’t wait for another opportunity to learn Microblading, start today by selecting your best training center from the listing below. Listed above are training centers in California, the table above has four columns namely, the center’s name, address, city and phone/details. On the table’s header section click on “City” to sort out the city alphabetically or simply use the search function and search a city. Using the Google map, you can quickly locate the location of your chosen training center and nearby companies which offer the same service. We are doing our best to keep the list updated, and the listed training centers above are reliable. 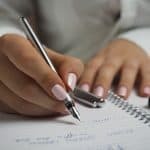 If you think we miss something important on this page don’t hesitate to contact us or if you want to add your business, submit it here.